This black Black Tie Affair designer dog collar is 5/8" wide. It has white Swarovski crystals with a black dot bow tie. 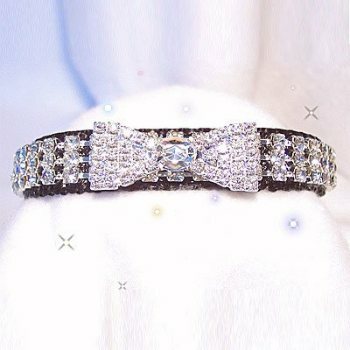 What a great collar for wedding day pictures or any black tie affair.